Toddler Blog: The Wonderful World of Rockpools! Today at Toddler Tuesdays we learnt all about what rockpools are, who we can find there, how we can explore them and how we can look after them! First we practiced our animal sign language and then we went to our Plymouth Sound exhibit to see what we could find when we peered into the rockpools. 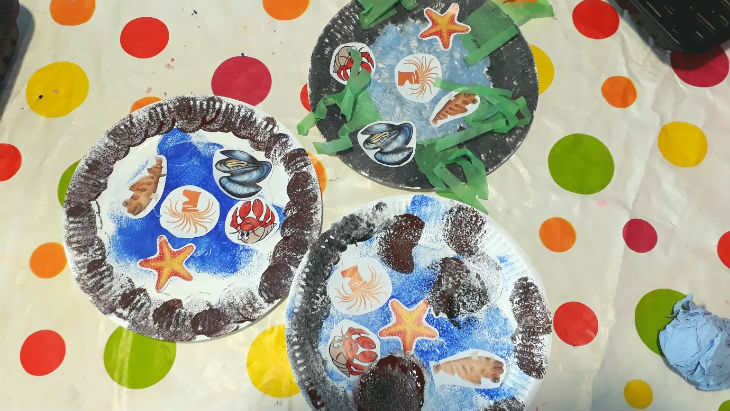 When we got back to the café, we made our very own rockpool paper plates and decorated them with pictures of animals we had found on our rockpool adventure! Rockpools are puddles of sea water that are left between rocks when the tide goes out and the water goes back out to sea. We can find them on beaches with lots of rocks anywhere around the world! Animals and plants which live in rockpools have to be very good at adapting to change because rockpools are very tough places to live! Animals which you can find in rockpools include: crabs, starfish, mussels, small fish like blennies, prawns, anemones, limpets and barnacles! How can we explore them? All you need to explore a rockpool is a pair of wellies, your super sea detective eyes and careful fingers and toes. We also need to be careful that we don’t hurt any animals or damage their homes! We can do this by always putting rocks back where we find them, not pulling animals or plants off rocks, not treading in rockpools and only leaving footprints when you visit. We can also look after rockpools by taking part in beach cleans and helping to pick up any rubbish that we find. Next Week: Toddler Tuesdays will be back in two weeks’ time on September 18th as there is staff training on September 11th! 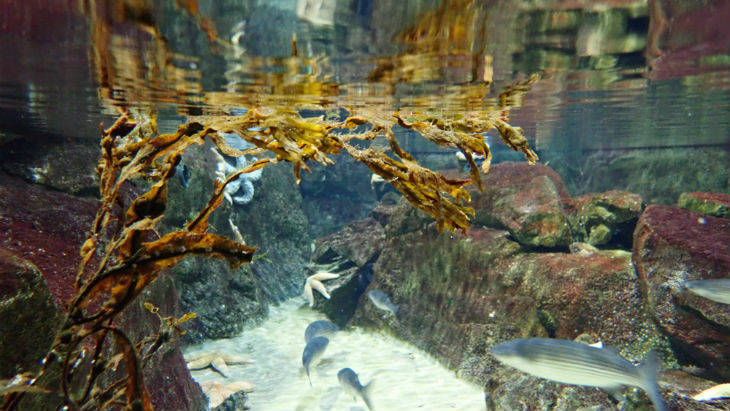 There will still be lots to see at the aquarium, why not come and explore the rockpools is Plymouth Sound?